Database Systems Corp. is a leading provider of call center technology including automated phone systems and telephone software. DSC offers CTI enabled phone systems as well as call center outsourcing using our full featured telephony phone software. 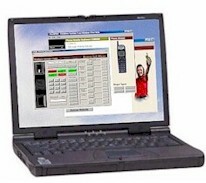 DSC telephone software connects applications to our WIZARD (analog) and PACER (digital) series of telephone systems. Included with our phone software are extensive reports, statistics, and graphs to help you effectively manage the coordination between your applications and your telephone system. Our telephone software functions on your Local Area Network (LAN) or via the Internet, enabling your phone agents to work in a central call center, remote office or even from home. Contact DSC to learn more about our comprehensive telephone software and systems. Our standalone phone software is a PC program that includes our soft phone library routines. This program can be developed in C/C++, Visual Basic, Active X Control, .NET Control and other PC programming protocols. Our extensive telephone software library and utilities can be embedded in your PC applications, effectively "CTI enabling" these applications. Call information can be passed to these PC applications which can be launched based upon a phone event such as a received phone call. Applications can be written in C/C++, Visual Basic, Active X Control, .NET Control and other protocols. Our telephone software can be embedded in your existing intenet website pages. Telephone functions can be controlled from within your web applications. 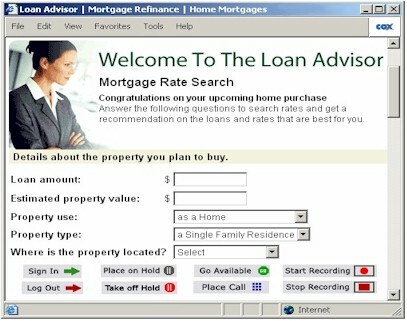 The above example demonstrates the use of our telephone functions within a browser based application. Telephone buttons can be embedded anywhere in your web application, connecting your users with our phone systems. This option provides limited phone functionality due to the asynchronous nature of web operation. Conversely, our telephone software can control web applications within itself, offering complete navigational control of web pages and applications based upon phone events. 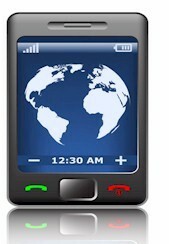 The software can control which web page appears based upon a phone event such as the receipt of a call. This feature provides the maximum phone control and allows the softphone to launch web pages, passing variable information to each page as it is displayed. Contact DSC to learn more about our telephone software and services.